ConvertXtoDVD is a well known, award winning dvd authoring software that makes it easy for you to convert any video file and author your own DVD, create personalized menus with many templates, add subtitles, add effects to your videos and burn them directly to DVDs. 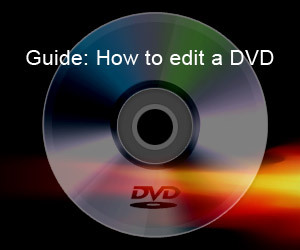 In this guide we are going to show you how to create a custom DVD using the program. You can free download ConvertXtoDVD trial or buy it now(15% Off). Just install and run it so that we can move on with this guide. Step1. This is the main ConvertXToDVD windows. May seem a little too basic now but you'll soon see how efficient it can be. For the beginning lets go to "Settings" -> "General". ConvertXtoDVD is a well known, award winning dvd authoring software that makes it easy for you to convert any video file and author your own DVD, create personalized menus with many templates, add subtitles, add effects to your videos and burn them directly to DVDs. Here is small guide how to add subtitles to DVD – you got some movie file (divx, avi, mov, mpg…), you got some subtitles (sub, srt,…), and you want burn this movie and subtitles to DVD. You can free download ConvertXtoDVD trial or buy it now(15% Off). How to download/capture/save online video to computer? If you’re a regular YouTube viewer, you’ve probably experienced the frustration of trying to save your favorite videos. The movies are presented in the Flash Video (FLV) format which enables highly-compressed streaming video to effectively play in most browsers. However, the inconvenience with this type of format is that you will not be able to download it by using your Save Target As option. KeepVid and YouTube Downloader are download-helper websites that allow users to input the URL of a page which contains a video they wish to download. What great about download-helper website is that you need not to download it since it is not a software. All you have to do is to enter the URL source of the video you want to save. The website then begins to convert the video into a downloadable format (such as Mpeg or FLV) which can be saved on the hard-drive. Mozilla Firefox is a web browser whose Video DownloadHelper extension allows the user to download videos directly off websites. This application runs both on Windows and Mac OS X operating systems. What’s great about Video DownloadHelper is that it saves streaming video from over 60 websites and supports extensions like AVI, FLV, iPOD and PSP. Click “Add to firefox” button, and then download the extension by clicking on the “Install Now” button in the prompt window. After a few seconds, you will see your new extension in the “Adds-on” window. New extensions will be active after you restart Firefox. After installation, the toolbar should have the icon located to the left-hand side of your address bar. You should first load the page containing the video stream to use this option. Once you have loaded the right page, click on the down arrow next to your video downloadHelper icon, choose a video format and then save the video. By default it will save it as an FLV format file. There are available commercial softwares online that require installation. They can be used to download the streaming videos to your computer. Some have the option to convert your FLV format files into Mpeg or AVI files. How to remove commercials from MPEG files without re-encoding? You may want to do away with those annoying advertisements in between your favorite recorded TV shows or explicit scenes in a movie not suitable for family viewing. The following three guides will show you how to remove commercials or other unwanted scenes from MPEG files without hampering the audio or video quality. If your video is other format, like AVI, ASF, RMVB, WMV etc., you can follow guide 2 to delete ads or unwanted footage which will need re-encoding your video.